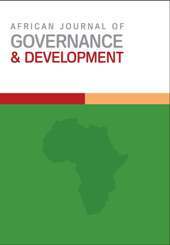 In this Issue of the African Journal of Governance and Development, it is with brevity that we reflect on Transdisciplinarity. We see this as relevant and timely given the contemporary and contextual imperatives on the African continent. Working in silos insulates the cross-pollination of knowledges, practices, praxes, know-how and technologies and does not augur well to finding solutions for Africa’s multifaceted problems.